Will nursing associates shore up an overstretched workforce or put patient safety at risk? When the Nursing and Midwifery Council (NMC) announced last month it would become the regulator for nursing associates, the reaction was mixed. 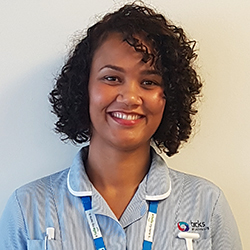 The new role, which sits between unregulated healthcare assistants (HCAs) and registered nurses, is welcomed by some as a way to diversify nursing teams and provide career opportunities for HCAs. Others argue it heralds a dilution of professional expertise, with potentially grave consequences for the registered nurse, patient safety, and nursing associates themselves. Amanda Cheesman greeted the news of the nursing associate role with a sigh of relief. As assistant director of nursing at Wrightington, Wigan and Leigh NHS Foundation Trust, one of England’s busiest trusts, she is aware of the pressures facing the health service, particularly for those who must ensure it is staffed properly. ‘We’ve all got vacancies we can’t fill. It’s about addressing the needs of the health service now but it’s also about being visionary,’ says Ms Cheesman. There are about 2,000 trainee nursing associates (TNAs) in England. The first will qualify early next year following two years of training at 35 sites. The government anticipates that 5,000 will begin training this year, with 7,500 due to begin in 2019. The NMC’s announcement means that from the end of January 2019, those who have qualified will join a new nursing associate section of the register. 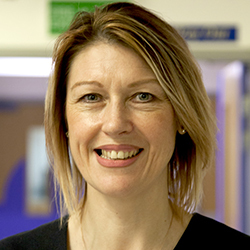 According to Health Education England chief nurse Lisa Bayliss-Pratt, the pilot phase has been going ‘really well’, not least because of the quality of the first trainee cohorts. The latest survey of the initial 2,000 trainees suggests around 40% hope to go on to train as nurses, which will require a degree. ‘That’s great in itself, because it’s helping us with the future nurse supply pipeline,’ adds Professor Bayliss-Pratt. Others express a less rosy view. The RCN has welcomed the fact that nursing associates will be regulated but has cautioned that the role remains ill-defined. The college said this could lead to nursing associates being asked to perform duties outside the remit of a support role, putting pressure on individuals and affecting patient care. The college is concerned that employers will replace registered nurses with nursing associates to reduce costs, and says more work is needed to ensure existing staff understand the role and how it fits into the workforce. London South Bank University professor of healthcare and workforce modelling Alison Leary believes the role comes with substantial risk to patient safety. ‘It’s diluting expertise at the frontline – no safety-critical industry would do this. You wouldn’t see the aviation industry go down this route,’ she says. RELATED: Nursing associates: a return to state enrolled nurses? Professor Leary also worries the role could become a career cul-de-sac – a major criticism of the old enrolled nurse role, to which some compare nursing associates. ‘Employers need to be clear about what the role is, and mindful of its impact on the workforce. We also need to see evaluation of the impact on patient outcomes and patient safety,’ she says. Regardless of views on the value of the nursing associate role, there is general agreement that the shortage of registered nurses is a problem. Vacancy rates are likely to increase once the effects of Brexit become clear, while abolishing the bursary for nursing students in England is likely to have had a detrimental effect on people wishing to enter nursing. It is perhaps significant that in Scotland, where the bursary survives, there are no plans to emulate the nursing associate role. NMC regulation should help allay some fears because it means nursing associates will have a personal responsibility for ensuring they practise safely. 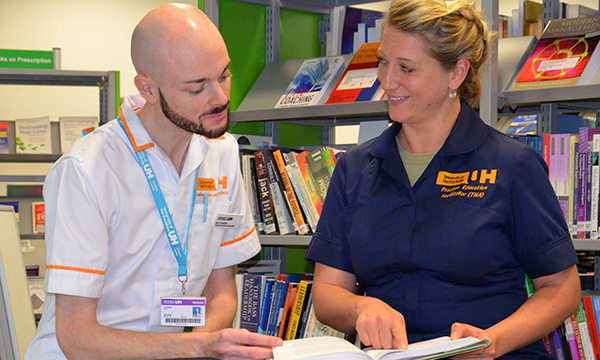 As well as nursing associates who want to go on to train as nurses, there are other new routes into nursing, such as the nursing apprenticeship. This four-year training allows students to earn while they learn, and is seen as a way of widening access to the profession. For Shermaine Reid-Scannell, the apprenticeship model allowed her to leave a full-time job to train as a nurse. As a single mother of three boys, between the ages of four and 15, she was reluctant to take on the £27,000-plus of debt that taking a traditional nursing degree would incur – meaning the NHS would have lost out on someone who is passionate about becoming a nurse. ‘I’ve had to take a pay cut, but the apprenticeship means I do have a wage coming in and I don’t have to pay student fees,’ says Ms Reid-Scannell, who is a psychology graduate. She previously worked as an employment specialist with Central and North West London NHS Foundation Trust, where she is now doing the apprenticeship. 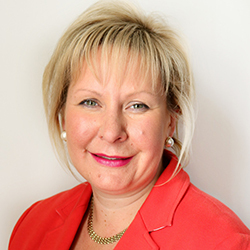 Amanda Cheesman feels it is vital to explore all avenues to ensure there is a properly trained and skilled nursing workforce. She believes nursing associates will be part of that. ‘There have been some criticisms about it diluting the workforce, but nursing is still going to be a graduate profession. We can develop opportunities and pathways to get more people to the point where they are registered nurses,’ she says. Ian Costello loved his role as a forensic healthcare assistant working with adults with learning disabilities, but felt he could offer more. So, when he was given the chance to train as a nursing associate, he applied immediately. Almost a year and a half later, he has no regrets. Mr Costello left school at 16 and admits he didn't have a ‘wonderful time’ in education. He was nervous when asked to write an essay as part of the application process. ‘Then I saw it was on person-centred care and thought “I’ve got this”,’ he laughs. 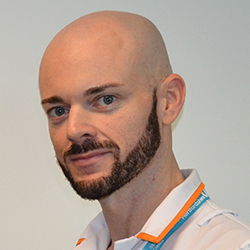 Since beginning the course in April 2017 at Hertfordshire Partnership University NHS Foundation Trust he has become an ambassador for the nursing associate role and has taken on additional responsibilities, including becoming regional student rep for the East of England. He's attended Downing Street as part of the NHS 70th anniversary celebrations and won a Health Education England Dean’s award for outstanding commitment, personal ambition and leadership skills. Highlights of Mr Costello's clinical placements include spotting signs that a patient had sepsis, and taking his new-found skills in performing electrocardiogram (ECG) examinations back to his day job.